I loved math growing up. Loved it. But the thought of teaching my kids anything beyond simple addition and subtraction scares me to death. I know that I am able to figure it out and work through problems, but there are some things that are just difficult to explain without additional help. Math Tutor sent me two instructional DVDs to review: The Basic Math Word Problem Tutor (8 hours) and The Algebra 2 Tutor (6 hours). 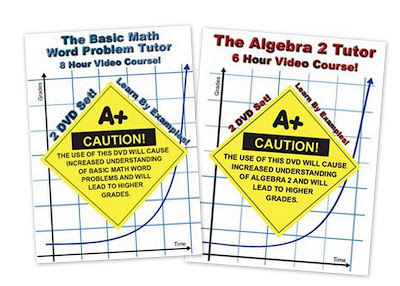 Math Tutor offers 19 instructional DVDs on their site including basic math, algebra, geometry, calculus, and physics and most of the Math Tutor DVDs are priced under $30. I first thought the DVD was a little dry (for my 35-year-old taste), but the problems are explained very well and it definitely grew on me the more we watched it. The DVD is broken up into various teaching segments, making it is easy to skip to the exact area you need to cover. As an added bonus - it isn't me trying to show something to my kids, so they listen and pay attention! 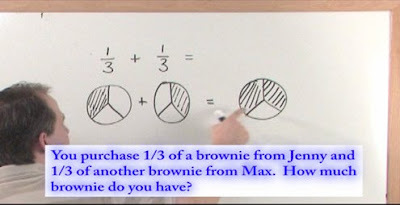 The Math Tutor website has sample videos that you can check out and they have a great guarantee: All DVD courses Guaranteed to raise grades or your money back! Math Tutor also offers DVD bundles to help you save a little money and their shipping is great - you only pay S&H on the 1st DVD. All additional DVDs in the same order ship for FREE. You pay the same S&H price whether you purchase 1 DVD or 10 DVDs! Click on the Homeschool Crew banner below to read other reviews on the Math Tutor DVDs. I'd be interested in this. I took to algebra too well - it was kind of intuitive to me (unfortunately, not true of trig, calculus, or linear algebra), and I've had a hard time explaining it to my 6th grader. My wife does 99.9% of the teaching, but this is one area where I feel like he could use a hand. Oh wow! This would be great! yup, if you're giving it, I'd take it!